Saving money on a new Audi in West Virginia is simple. The first step is to research the Car model of interest and identify any other vehicle of interest. You’ll receive Car price quotes from West Virginia Car dealers. Simply compare prices to find the best Car prices in West Virginia. 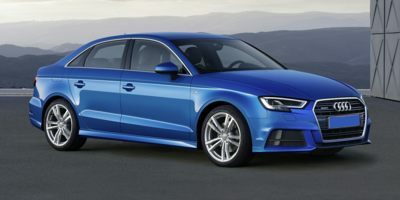 The Audi A3 is offered as a sedan, convertible, or 5-door Sportback. Power comes from a 2.0L turbocharged 4-cylinder with 220 horsepower and 258 lb-ft of torque. The Audi A3 sends power to all four wheels via quattro all-wheel drive, though front-wheel-drive versions are available as well. A high-performance version of this same engine powers the Audi S3, where it makes 292 horsepower--enough to go from 0 to 60 mph in 4.7 seconds. 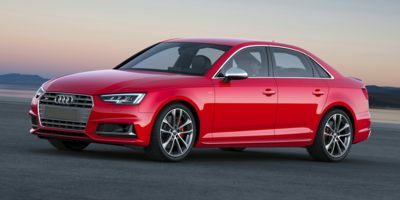 The RS3 comes only as an all-wheel drive sedan, and is powered by a 2.5L turbocharged 5-cylinder engine that makes an almost-unbelievable 400 horsepower. Finally, the A3 Sportback e-tron hybrid utilizes an electric motor that makes 102 horsepower and 243 lb-ft of torque, plus a 1.4L turbocharged gasoline engine capable of 150 horsepower. When combined, the two powerplants make 204 horsepower, making it one of the most powerful hybrids available. The Sportback e-tron can drive on purely electric power for about 17 miles. The Audi A3 is available in three trim levels: Premium, Premium Plus and Prestige. The Premium trim includes leather seating with heated front seats, a panoramic glass sunroof, bi-xenon automatic headlights, power adjustable side mirrors with integrated LED turn signals, dual-zone automatic climate control, a 12-way power adjustable driver's seat, rearview camera and parking sensors, "Alu-optic" interior trim, heated mirrors and washer nozzles, twin USB power/data ports, and a 10-speaker sound system with a 3-month subscription to SiriusXM satellite radio. A convenience package adds keyless start, stop and entry, as well as Audi's music interface and better smartphone integration. The sport package on the other hand, adds sportier front seat, a driving mode selector and a flat bottom steering wheel with shift paddles. A sport suspension is also available that reduces the ride height by 15 mm. The Premium Plus trim adds 18-inch wheels, aluminum interior accents, Audi side assist, a Bang & Olufsen sound system, and keyless entry. 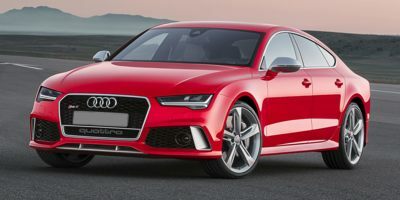 The Prestige package, meanwhile, includes everything in Premium Plus, as well as an S-line exterior body kit, a navigation system, Audi connect and LED headlights. Option packages on the Premium Plus include a technology package that features Audi Connect PRIME and PLUS, a navigation system, Audi's side assist system with rear traffic alert and what Audi calls their "virtual cockpit," which is a digital display in the instrument cluster featuring a view of the road ahead as well as plenty of relevant driving information. The RS3 is, in its way, a separate beast. Besides the tremendous engine, the RS3 comes with a unique red-stitched Nappa leather interior as well as 19" 5-arm wheels, full LED headlamps, RS-specific fascias and diffuser and magnetic ride suspension. 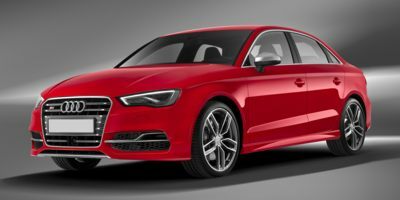 Safety features on all the A3 models include anti-lock brakes, traction control, stability control and a tire pressure monitoring system. Airbags include advanced driver and passenger front airbags, knee airbags, thorax side airbags as well as side curtain airbags. An anti-theft alarm system comes standard, while Active Lane Assist, Audi Pre-Sense automatic braking and adaptive cruise control are all optional on the A3 Prestige. 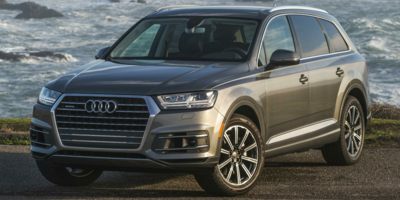 Compare West Virginia Audi prices. Get free price quotes for any Audi in West Virginia. See the invoice price, MSRP price, and clearance prices for all vehicles. Save big when West Virginia Audi dealerships compete on price. Compare Audi prices, pictures, reviews, local rebates and incentives, and more. View all used vehicles for sale in West Virginia. Compare used Audi vehicles and get the best deal in West Virginia. See prices, pictures, vehicle specs and everything you need to get the best deal on a used Audi. Bad credit auto loans and good credit auto loans for a new or used Audi in West Virginia. Compare current auto financing rates and get approved before you go to the dealership. We can get financing for nearly all new or used Audi buyers in West Virginia. Get a free auto loan quote today. Compare auto insurance rates from top lenders. Get the lowest monthly payment on a new or used Audi in West Virginia. With free Audi insurance quotes, you can save money regardless of driving history.